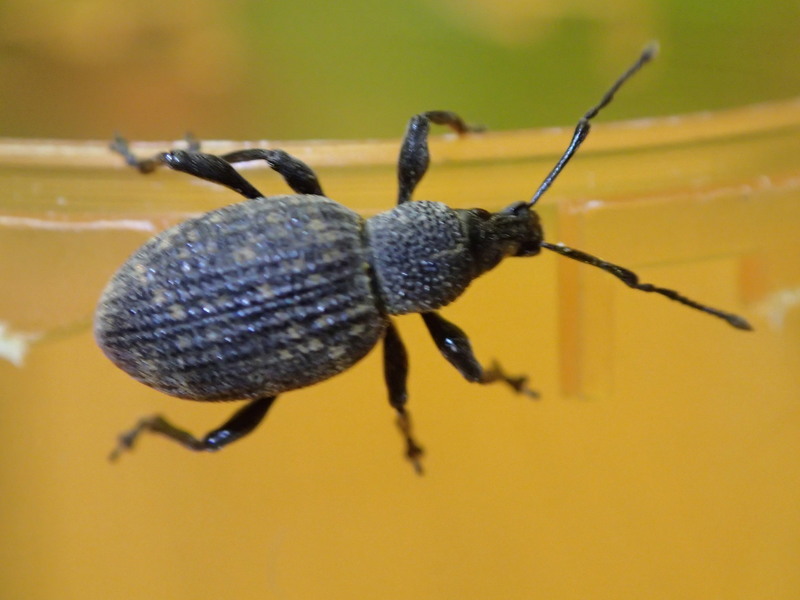 Description and damage Adults are small rounded weevils with a broad snout and elbowed antennae. They are visible by flashlight at night straddling the leaf as they feed. Feeding results in ragged leaf edges. Because leaves are "evergreen," damage accumulates over time.